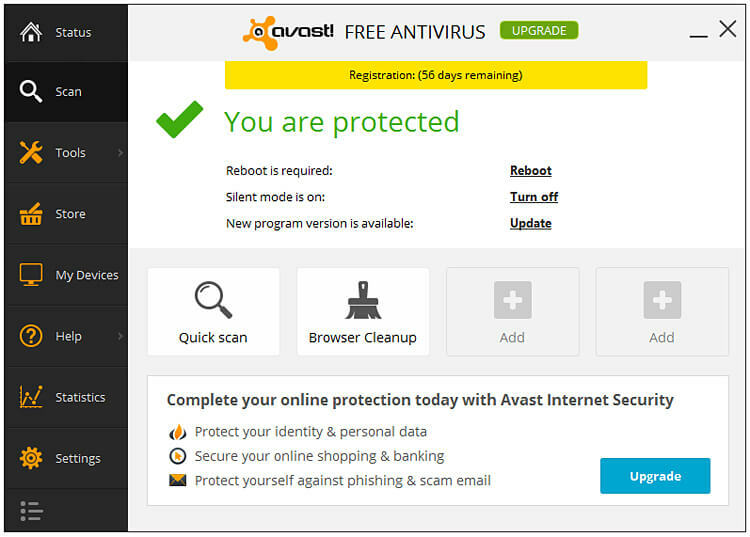 Avast Antivirus is a free web shield, cleaner and status monitor that has been around since 2001 although the company have a 25 year history. The software is light on system resources and sits discreetly in the system tray. What I am recommending is the FREE version of the software. You must renew your free license every 12 months by inserting a free license key that is emailed to you. As you can see in the screenshot below, my license is due for renewal once a year. If you purchase a license you get extra tools, but honestly, I don’t think you need to bother. The free version has always been good to me but I hear the paid versions are not very good for what you pay. When you download the software, it will probably look a bit different to the screenshots I have provided on this page. When installing for the first time, choose “Custom Installation” so you can opt out of any extra tools that would otherwise be automatically installed in the Standard installation of Avast. It is annoying when you realise that as part of the software installation, browser add-ons have been downloaded and installed without your expressed permision. Uncheck any boxes. I’ve heard complaints that Avast is automatically installing the Chrome browswer and with it the Ask.com search bar, as well as a tracking cookie from DoubleClick. Be careful that these are not automatically installed because these services cause problems. The Best Free Antivirus Software? The main interface itself, which has become increasingly streamlined with every new release, looks a lot better than it did in the past. At one time I know this was considered one of the best free antivirus solutions. It got a 5/5 review in a magazine I used to buy. Whether it is STILL the best is debatable, since I know that almost all antivirus software usually succumbs to commercial partnerships, trickery, false positives and general racketeering. It has been okay for me over the last 7 years or so, but I’ll be keeping a close eye on it. Up until Avast, I’d tried Norton, AVG, Symantec and a few others, but really they were an absolute pig when it came to CPU usage. AVG was always the worst offender so I was glad to get rid of it and try Avast when I read about it in Web User magazine. Of course, how slowly or quickly your system runs with an anti virus application running as a background process depends on your CPU and available RAM. If your computer is only a few years old you’ll get on well with it, but if you have a machine that is 10 years old you might be pushing it performance-wise. In previous releases there were eight shields but these have been reduced to three. These are the File System Shield, the Web Shield, and the Mail Shield. 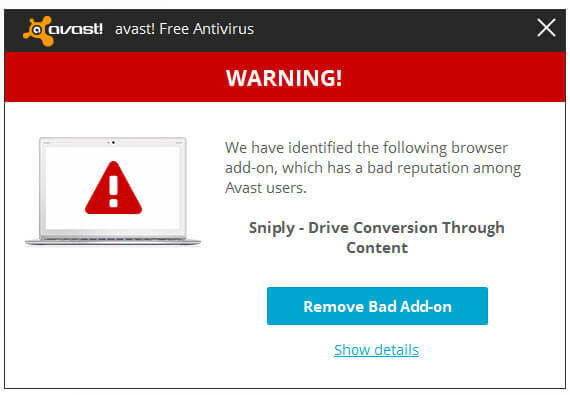 There have been situations where I am on the internet and clicking a link has ended up sending me to a spammy site in a bad neighbourhood, instantly triggering the Avast warning. Obviously I stay away from dodgy websites if I can but sometimes you land on an infected website without realising, so a good web shield reduces that risk. On other occasions trojans have been caught and quarantined immediately, so that is good. The shields give me peace of mind and there are lots of configuration options for each of them. There have been a few occasions where a perfectly safe application has thrown up a red flag in the File System Shield, or a website has been flagged in the Web Shield as dangerous or untrustowrthy. This is a false positive. This is where overly vigilante malware detection blocks a legitimate program or website. Example: It seems to think that Sniply is a bad add-on for my Firefox browser, but I’ve already vetted it and can safely say it is totally safe. I installed some open source software recently (a new version of OpenOffice) and because it doesn’t have a properly signed digital certificate, Avast crapt its pants and tried to tell me a virus is on my system. Again, it’s a case of Avast being too uptight and suspecting software that is perfectly okay to run on my system. Thankfully, you can whitelist programs you know are safe. A great feature is the ability to silence the pop ups, notifications, and noises, which to me feel like an annoying person tapping your shoulder while you’re trying to work. If you have something on my computer occupying the full screen, like a film or computer game, the pop up notifications can be configured to keep themselves to themselves. 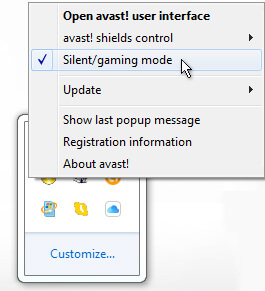 You can either right click the Avast icon in the system tray or visit the settings section within the software to toggle between silent mode. While I’m on the subject of customising the behaviour of the software, do yourself a favour and go to Settings > Apperance and uncheck the box that says “Animate the icon while scanning”. You see, Avast is always scanning, so there’s no need to dedicate system resources to a pointless animation effect that serves no useful purpose other than to use memory. 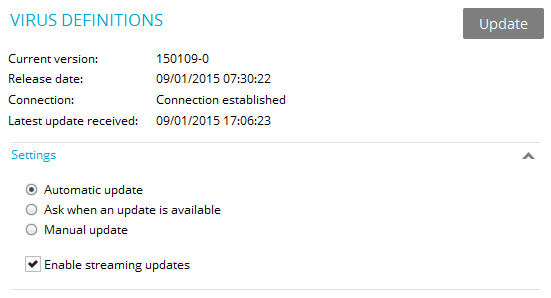 You can do a system scan as often as you like, choosing particular drives or folders to check for problems. The settings allow you to create a custom scanning profile and then save and schedule this scan daily weekly or monthly at a particular time. Obviously your computer needs to be switched on for this to happen. Manual scans are what I usually do, mostly when there is a known virus problem or possible threat. Some viruses are extremely difficult to remove because they tend to come back even after you’ve quarantined it and destroyed it. A good tip for a hard-to-shift malicious file is to restart your computer in safe mode and run an Avast scan in safe when the PC has booted up again. To start up in safe mode, tap the F6 key repeatedly while your machine is booting up and it will ask you if you really want to run your computer in safe mode. If the offending file is caught and destroyed, you should just restart your machine and it will automatically go back to normal mode. Hopefully any viruses will be gone. 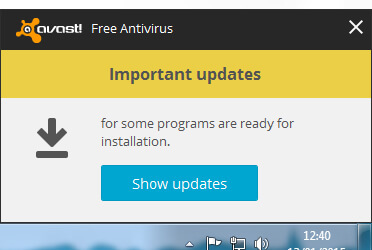 Even with the free version of Avast, you get regular virus definition updates. You can set these to automatically update, which is pretty good. I wonder if there are more virus definitions in the full version of the software though. This is a freemium business model afterall. To get around the issue of anti virus software not catching all the viruses, I also use other software like nCleaner, which usually does a good job of finding anything that Avast has missed. The software has been good over the years but I worry about some of the false positives it throws up. 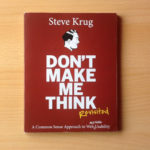 For what it costs (free) it is excellent. Remember to configure the settings using what I told you on this page and be sure to switch off the notification pop ups.